Irish bookmaker Paddy Power is known to push the limits with betting and advertising. 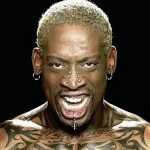 Customers can place bets on a wide variety of events and happenings around the world, and the company even initially sponsored some of Dennis Rodman‘s trips to North Korea to visit Kim Jong Un. 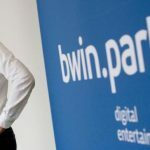 Paddy Power is no stranger to criticisms from the UK Advertising Standards Authority (ASA) either, but the most recent run-in was a bigger deal than the bookmaker likely expected. The ad in question was run at the time of the Oscars – otherwise known as the Academy Awards – on March 2. 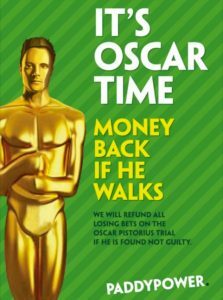 Paddy Power introduced an advertisement that used the word “Oscar” to refer instead to the Oscar Pistorius murder trial in South Africa, in which the Paralympic gold-medal runner is accused of murdering his girlfriend Reeva Steenkamp. The trial started the day after the Oscars aired. The associated picture showed an Oscar statue with Pistorius’ face superimposed on the head, and the ad was posted in numerous national press publications and websites, as well as via social media. The number of complaints was overwhelming. Customers complained to Paddy Power and on social media, as well as to the ASA, in record numbers. There was even an online petition to rally for the removal of the ad. By the time the ASA decided to take action, the organization recorded 5,525 individual complaints. Many of those complaints regarded general offense, but others noted that the advertisement and betting process downplayed the seriousness of a murder trial and played too loosely with a woman’s death. Others took issue with the “if he walks” words that seemed to make light of Pistorius’ disability. 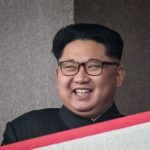 Within the week an investigation was underway, and ASA chairman Lord Smith demanded that Paddy Power withdraw the advertisement from all circulation. The initial ruling from the ASA was that the ad could be offensive and considered”seriously prejudicial” by the public. The conclusion to the ASA investigation was revealed on March 20, and ruled that the Pistorius ad breached the ASA’s rules and brought advertising into disrepute. 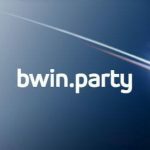 The ad was prohibited by the ASA from appearing again in the same form, and the bookmaker was told that future ads must not cause the same problems. The reason behind the advertisement was given by a spokesperson, who said that the Pistorius trial is in the news and something that everyone is talking about. It had global appeal, and its high-profile nature attracted bettors.